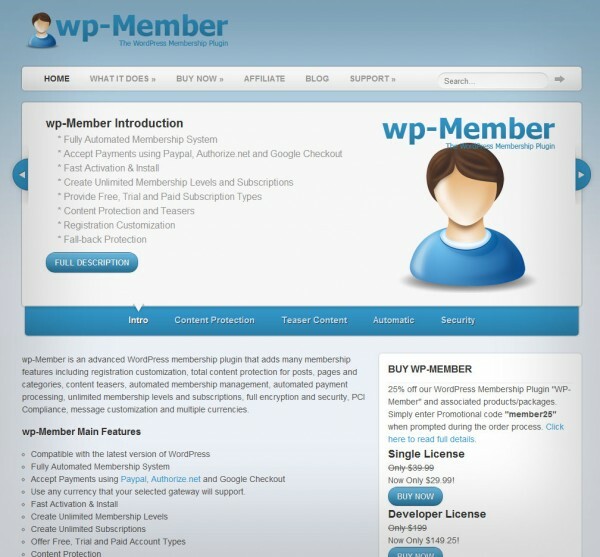 WP Member is a Premium WordPress plugin that will add membership options to any WordPress site. Add free or paid memberships, trial accounts or add teasers to your content. WP Member also takes care of all your incoming payments through a variety of different payment gateways. To top it all off we’ll even help you get WP Member up and running on your site!